Built from the ground up our 20 lane range is both Rifle & Pistol rated for all calibers with both 25 yard and 25 meter lanes & features a variety of amenities from interactive and Olympic Distance Targeting Systems to separate bays for specialty training with 180 degree tactical shooting and glass partitions at each lane. Both our public and private sections have individual state of art HEPA air systems delivering 100 % fresh air with no recirculation of used air, adapted extra wide 48 & 60 inch lanes for wheelchair accommodations and multiple shooters including individual LED lighting systems at each stall, large stall tables with storage & more. 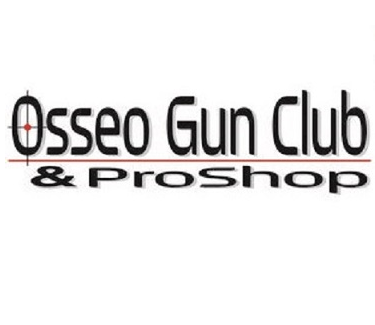 Upon arrival complete a waiver and pay at the Osseo Gun Club main range desk. $20/shooter. Please show up early to complete waiver and pay; squads will begin promptly at 5:00pm and 7:00pm. If shooting the early session, help setting up is appreciated, and if shooting the late session, help tearing down is appreciated. These matches will feature rather simple stages that designed to be easy to setup/takedown and easy to run through quickly, yet still quite challenging for shooters. Shooting more than 1 gun in a session is not allowed. However, registering for both the early and late session is allowed. An additional $20 would need to be paid for the second session. Practiscore pre-registration is required to guarantee a spot; if squads are full and you did not pre-register, you will not be able to shoot the match. http://www.osseogunclub.com/range-facilities.html See practiscore for match dates.